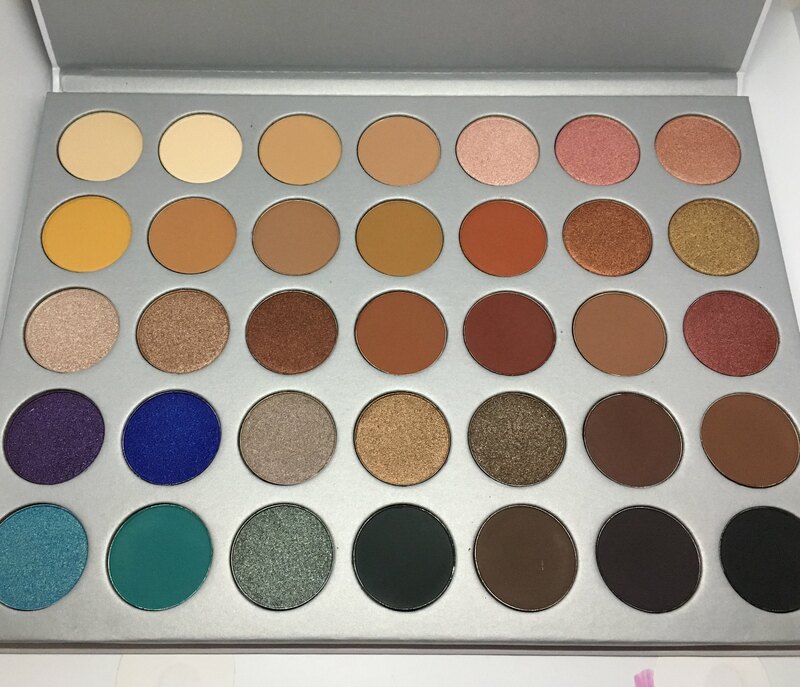 I wanted to share my final review of the Morphe x Jaclyn Hill palette before it went on sale tomorrow, July 18th at 8:00am (PST). 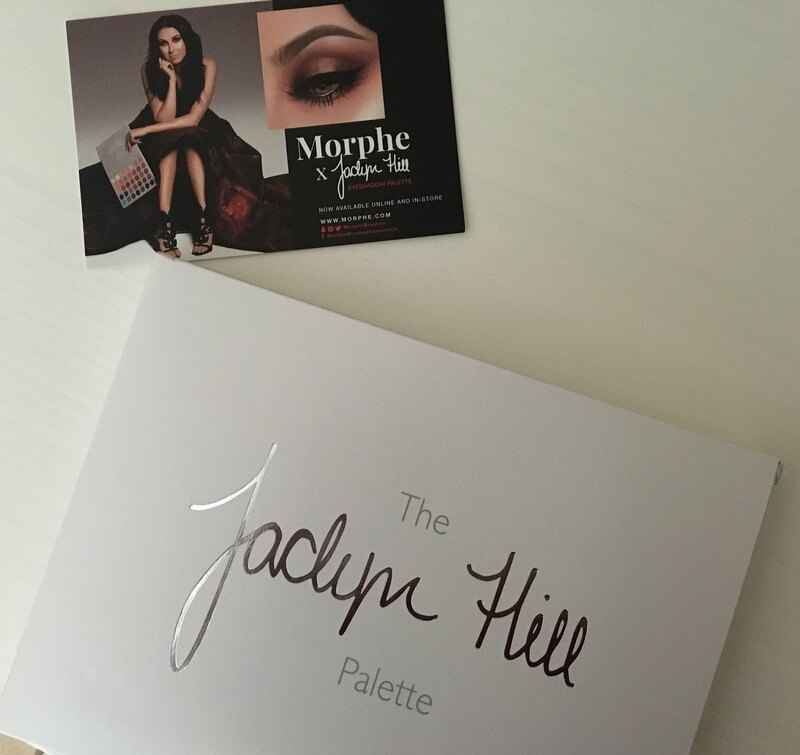 Jaclyn Hill collaborated with Morphe to create and design this palette. You get 35 eyeshadows that range from mattes, pearlescent, shimmery, and metallic. The retail price of this palette is $38 and of course there are discount codes out there. The palette is packaged in a thick cardboard palette with a magnetic closure. The outside is smooth and has a pearlescent finish to it. There is no mirror included and no brush. 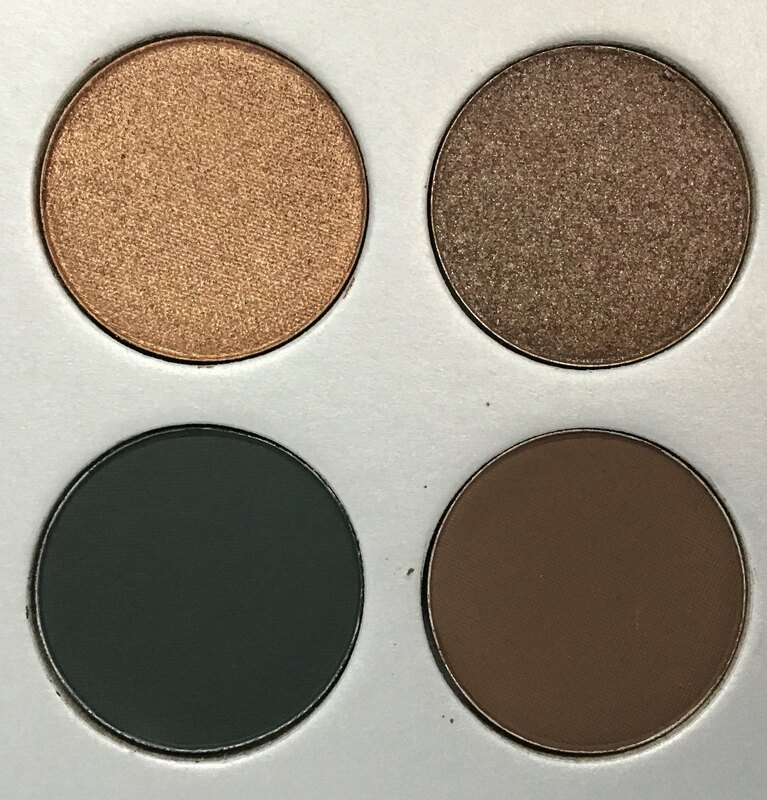 I’m not sure if you are a huge fan of Jaclyn Hill, but if you watched her video introducing the palette, swatching it and even demo-ing it, you would know that she went into great detail regarding how she came up with the name for each eyeshadow. However, I noticed that in the video, the names of the eyeshadows weren’t underneath each pan like in most palettes. So I thought that maybe it will be on the back of the palette. Once I got mine, I flipped it over and there was nothing. I looked in the box and saw that there was a little notecard with a picture of Jaclyn and on the back is where the names of each eyeshadow was listed. It seems a little odd to me that she would spend all that time and effort to think of names for these eyeshadows and not have them on the actual packaging, but that’s just my opinion. This is a very neutral palette with a lot of warm tones. You have your basic cream colors and then go into your typical pinky-golds, golds, warm taupes, etc. I love the fact that there are bright colors incorporated into this palette because it allows it to be versatile. If you are someone who enjoys incorporating a wide range of colors in your eyeshadow look, then this isn’t the palette for you. If you enjoy neutral colors, but like to add a little pop of color here and there, then this is something you would be interested in. To be honest, I haven’t had the chance to try out every single color, but I have tried majority of them (including the brighter colors). 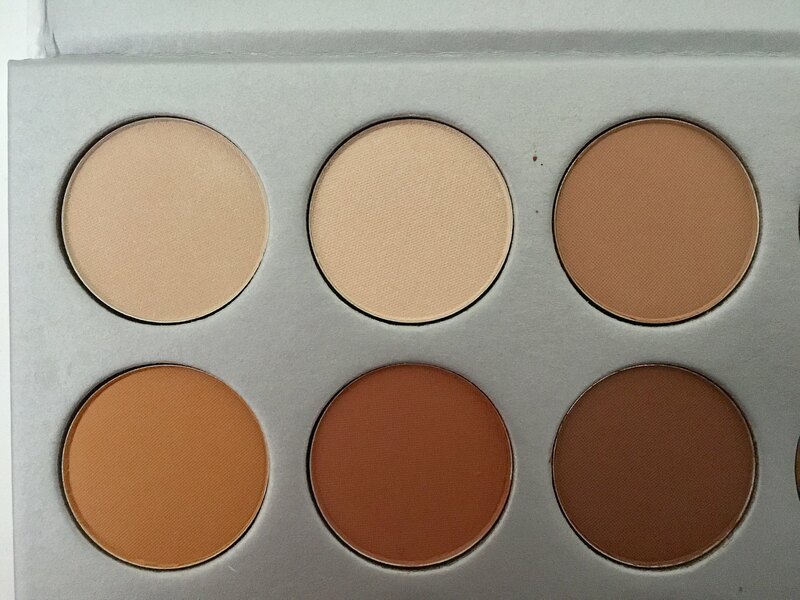 The pigmentation is superb and definitely stands up to other pigmented palettes that I have in my collection. The texture on some of the matte colors reminds me a lot of Too Faced’s mattes – they’re almost buttery to the touch and are easy to blend out. The shimmery colors are also extremely pigmented, but I do suggest that for majority of them you should apply it with a damp stiff flat brush to maximize color opacity and really pack on the shimmer. Speaking of shimmer, you will have some fall out when using the shimmery shades! So to prevent a lot of fallout from occurring, I highly suggest using a flat stiff eyeshadow brush. The person who loves Jaclyn Hill/loves supporting YouTubers: This palette is something that’s extremely new, innovative, creative, etc. In my opinion, it’s a basic palette that is comprised of basic colors. However, I was happy to spend my money on this because I genuinely enjoy supporting YouTubers who have “made it,” where they are able to do collaborations like this with well-known companies. I think it’s great to show support and continue to encourage them to do what they’re doing. 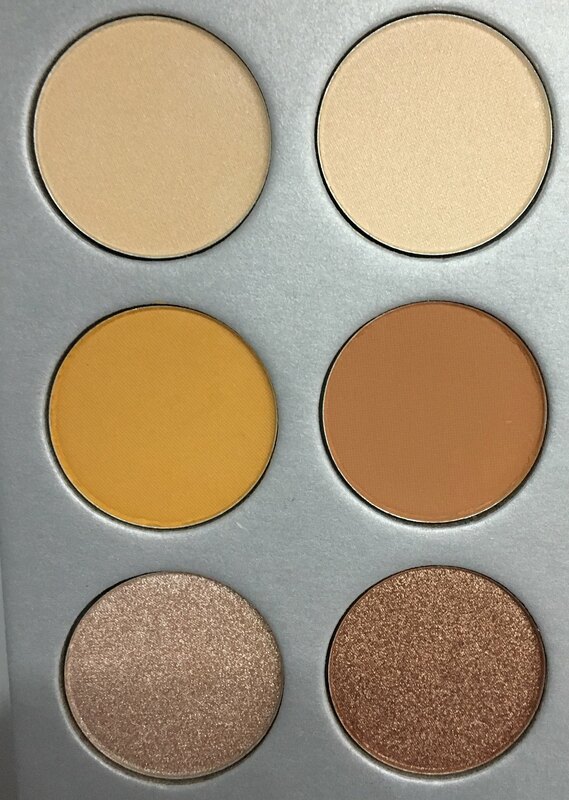 Those who are new to makeup/rebuilding their everyday makeup routine: Since this palette is comprised of a lot of the neutral colors, it’s great for someone who is just getting into makeup! It’s relatively affordable and majority of the colors are within the same color family and once you’re comfortable, you can slowly incorporate colors into your neutral looks. If you have an extensive makeup collection, especially if there are a lot of neutral eyeshadows involved, then you can pass on this palette. Like I mentioned before, there isn’t anything really new with this palette. It’s just another neutral warm palette that has been added to the market. Like I mentioned, if you love supporting Jaclyn Hill (or YouTubers in general) then this is something that you would want to wake up early and be sure you get your hands on it. It’s a solid palette that you can actually use everyday and create a wide variety of looks. If you have an extensive collection that involves a lot of neutrals, then don’t worry, you can definitely sleep in tomorrow and you won’t feel like you missed out on anything. 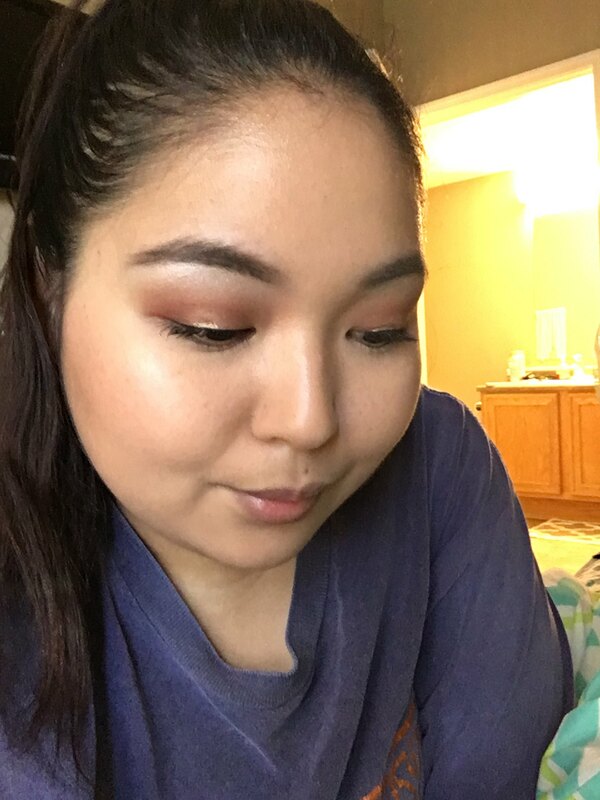 Have you tried the Morphe x Jaclyn Hill palette? What are your thoughts? Let me know down in the comments below! Also don’t forget to follow me on Instagram and Twitter @ciaociao808. You can also follow me on YouTube for vlogs, express reviews, first impressions and more! Just click here!